In the fast-paced world of technology and the web, Google and other search engines continue to evolve at a rapid speed. Not long ago, Google made a game-changing update that zeroed in on local visibility in search engine results. This means, local businesses can be found in the geographic area you are currently searching from. Because of this change, your local SEO just became more important than ever when it comes to increasing presence in the areas you wish to target. Regardless of what your business entails, creating local content pages on your website is sure to separate your site from the rest of the competition since it is not something that is commonly seen. Creating quality local content that optimizes keywords such as the location and services you are trying to rank for is one of the best things you can do to gain additional visibility on your website from all the right locations. Think of it as a game of Battleship—you want to locate and strike where you are trying to gain control (market share). Let’s say I own a car dealership located in West Chester, Pennsylvania and we would like to increase our visibility in the Philadelphia area. A great topic idea would be something that is useful and relative to residents of the Philadelphia area such as “Best Cheesesteak Shops around Philadelphia” or “Best Sports Bars to Watch the Philadelphia Eagles”. How will an article about mouthwatering cheesesteaks sell cars or improve our SEO strategy you ask? Well, it’s not quite about the cheesesteaks—it’s about the location you are pursuing. By creating this piece of content and optimizing for Philadelphia, you are pulling traffic in from this area and that is exactly what the goal is here. Site visitors landing on your site from this local piece of content may have never heard of your dealership and now they have. And just maybe they are conveniently in the market for a vehicle that you just so happen to have a great deal on in your inventory. Not only are you doing the homework for the people who are searching for this topic in Google, but you are also highlighting local businesses in the area and helping them receive exposure. Once you have created quality content for these pages and have used best practice for on-page optimization such as optimizing keywords and URL to correctly target Philadelphia, it’s time to turn it over to the second half of the process-- off-page optimization. To take your local content strategy a step further, reach out to the local businesses and places you mention in your local articles after you have carefully edited and double-checked all business information mentioned. Put yourself in the owner’s shoes and decide if your content is something the owner would be proud to read and if the content genuinely reflects who they are as a business. Ideally, these business owners will be thrilled that they were mentioned with no cost or catch and will most-likely link back to your website or post your article on their social media pages. The more people that view your article, the more authority you will gain in Google search engine. What does this mean for us? A HUGE win—that’s what it means! This way, you will pull in referral traffic from people who are on these businesses websites or social media pages and see the link to your article. This is a great way to get the word out about your business and receive exposure from people that may have never heard of it. So not only are you pulling in traffic from the area you would like to focus on, but also gaining visibility while establishing great partnerships with local businesses in the community. This is why local content is an important aspect in the SEO world and is necessary to include in your monthly content strategy. 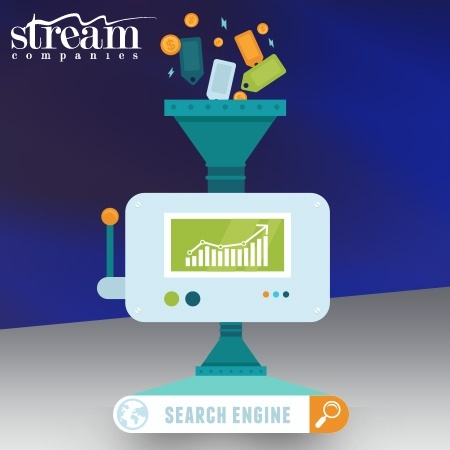 Tina DiSerafino is an SEO content strategist at Stream Companies.